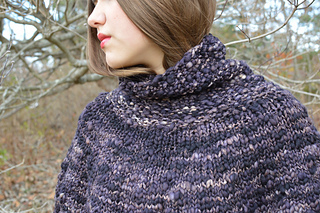 Cozy up in a warm cocoon of soft, bulky wool. 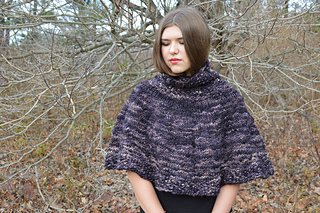 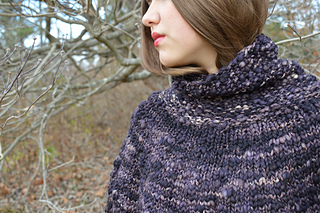 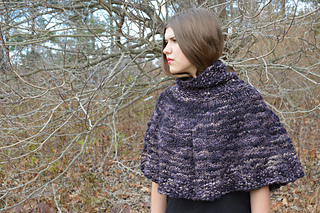 The Dyne Poncho is a quick and easy knit - a great weekend project! 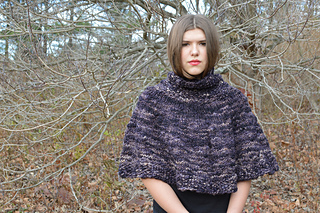 The circle yoke is one of my favourite methods to knit a top-down, seamless sweater, so I had to try it on a poncho too - it works beautifully! 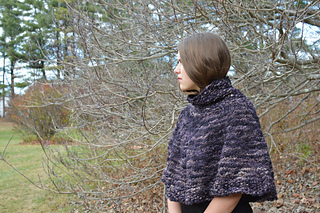 The length is perfect for keeping your body warm, while still leaving your arms free to tackle import tasks, such as knitting and yarn shopping!